Living with a disability in an area already affected by poverty and a lack of facilities is incredibly difficult. 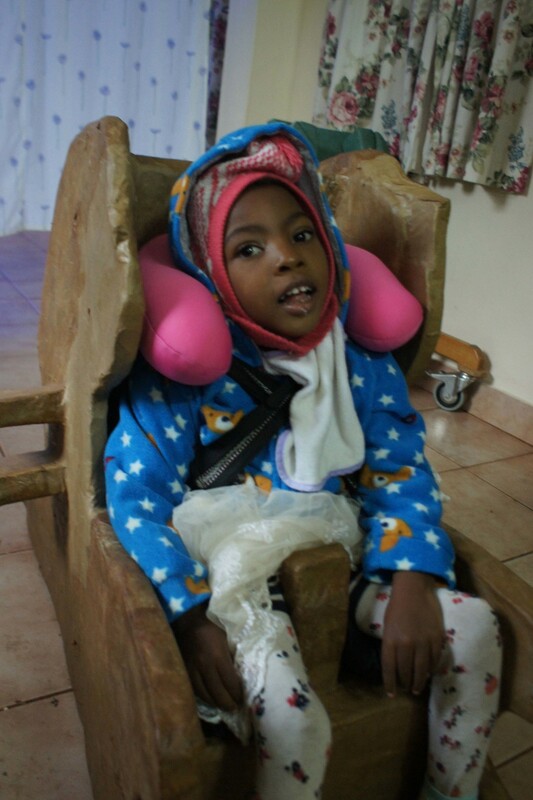 Often with little access to healthcare due to a lack of money, children with disabilities in rural Kenya frequently have to be left at home while their parents or grandparents go out to work. Without any other way of ensuring their safety during the day, these children can be locked up for hours at a time. Due to a lack of material resources, they are often found lying on the floor as proper seating is in short supply. The Metropolitan Sanctuary seeks to improve quality of life for such children and their families, providing them with medical care, therapy and postural aids, as well as access to our day care facilities. There is a walk-in medical clinic three days per week when clients can come to see one of the nurses we employ, and where the doctor is available on a once-weekly basis for medical review. The Sanctuary provides all medicines free to children and also occasionally assists financially with medical testing and intervention where prescribed. This is crucial, as in Kenya any health care must usually be paid for; a critical situation when even an antibiotic cream or basic tablet can stop an infection becoming a life-threatening problem. A major role is also to support carers with guidance if further medical treatment in mainstream hospitals is required. The clinic has been making regular home visits to the disabled children it treats since 2007. In 2013 we were generously provided with a matatu (minibus) by sponsors in the UK. This has made the home visits much easier, and has also widened the scope of places the clinic can reach. It is used daily, and has been a great benefit to the clinic and its users. 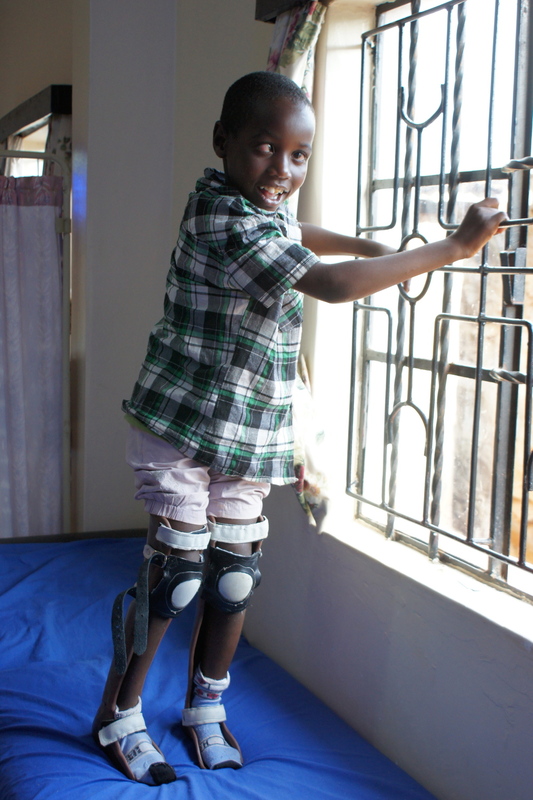 One of the exciting services The Sanctuary offers is free assessment for and provision of individually-tailored orthotic devices such as spinal jackets and leg braces, and splints such as callipers, ankle-foot orthosis, knee-ankle-foot orthosis, and even prosthetic limbs. Very few, if any, places in the Central Province of Kenya offer such equipment free of charge to the community. The devices are hugely important for improving posture and supporting joints to enhance the ability to sit stand and even walk. They can enhance independence and quality of life greatly for those previously unable to access such items due to poverty. The clinic currently manufactures these items on-site, and in the future we aim to move this production to a custom-built workshop. There is now a small unit on site which houses and cares for a small number of children 24 hours a day. This ‘Rescue Centre’ offers round-the-clock care, clothing, food and shelter to children in need of emergency care due to conditions of neglect or abuse at home. The Sanctuary hopes to extend this facility in the coming years to accommodate more children and our dream is to offer education on site. The clinic offers ongoing regular rehabilitation treatment in the form of both physical and occupational therapy. Treatment includes tone normalisation, range of movement enhancement, deep massage and vibration therapy, and functional training for all aspects of daily living. Clients are provided with disability equipment and mobility aids where appropriate. At our day care centre, activity workers provide a programme of play-centred therapy for children with disabilities. They use a range of activities including water play, sensory play, dark-room time with light stimulation, and group time with musical instruments. This programme of day care was initially provided for children visiting the clinic, but it has developed into a full day care service for disabled children which operates five days a week. These children would often be left alone all day while their parents or grandparents go out to work. The Sanctuary provides a bus service to collect and return such children to their homes. implies: disability equipment made simply from cardboard! Specialised seating and standing frames are constructed from a fully-sustainable mixture of recycled cardboard and paste derived from the plentiful maize crops in the area. They are individually tailored to meet the postural and rehabilitation needs of each child, as prescribed by the occupational therapy team. Additionally, the team who make the products are all mothers of disabled children who attend the clinic, and are now employed full-time five days a week to meet high demand. Standing frames are also tailored to the individual size and stability of each child. They are given to children who are unable to stand alone without support, so that they can do so for periods of time each day at home. This enhances trunk stability, minimizes deformity, strengthens the hips, knees and ankles, and enhances bone growth. Essentially, they are used to prepare children for standing and walking independently, and we have had great success with them. Since the workshop started in October 2010, over 540 cardboard items have now been given out free of charge. 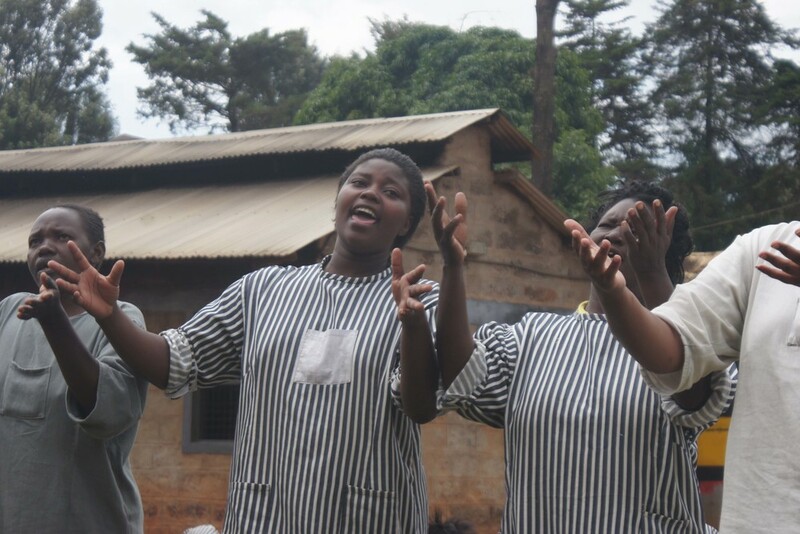 In 2005, Mrs Terry Fairfowl led the first team from the Whitewell Metropolitan Tabernacle Befrienders Ministry, Belfast, to Nyeri, Kenya, to hold a food distribution and medical camp in Kiawara. Terry had previously visited the area and was moved by the levels of poverty and illness that she saw. In this small area of Kenya alone, up to 50,000 people live in slums without adequate sanitation or healthcare. The team fed around 8,000 people, using supplies donated by members of the church and supporters of the work in Belfast. It was to be the first of many food distributions. 2,000 men, women and children were treated in the medical camp. The greatest need in this area seemed to be the health and welfare of children, especially those with disabilities, and the church felt led to create a facility to meet such needs. In 2007, Dr James McConnell opened the Metropolitan Sanctuary for Sick Children, along with Terry Fairfowl, the founder of the work in Kenya. It was, and still remains, the only such treatment centre in the whole of the Central Province which offers all of its services free of charge. In 2010 Jason and Jolene Allen went to the Sanctuary as missionaries, bringing their sons Jude and Jaden. Since then, they have also had a daughter, Shiloh, who was born in Kenya. Jason has brought his construction skills to oversee further building projects at the site, while Jolene, a trained occupational therapist, has been developing the clinical work. Their tireless efforts have seen huge enhancements in the facilities in recent years. Part of the service to the community provided by the Sanctuary is a church that was founded in 2011. 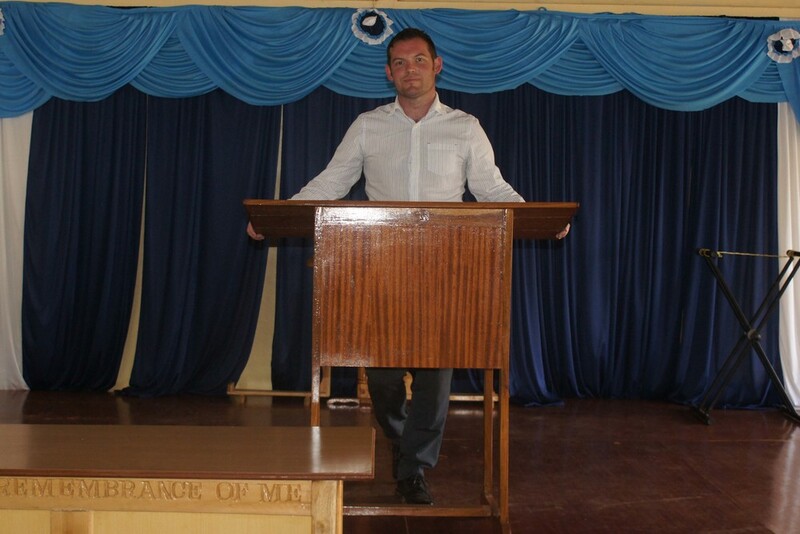 Jason Allen is pastor of the Metropolitan Tabernacle Church, Nyeri, assisted by Pastor Mary Wahome. Jolene Allen oversees the Sunday Schools. 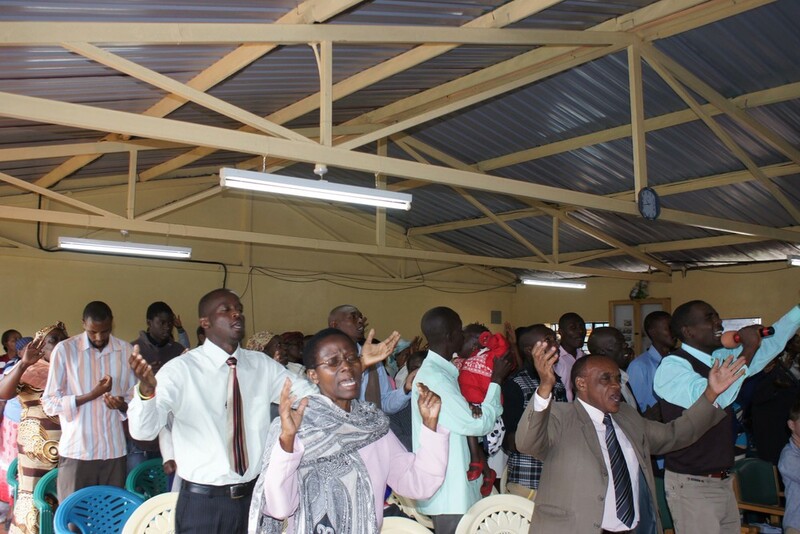 Regular services and Bible studies are held, and the church also gives away Bibles in local languages (Kiswahili, Kikuyu) as well as English. Its Sunday Schools and youth groups are an important source of social interaction for many young people in the area. 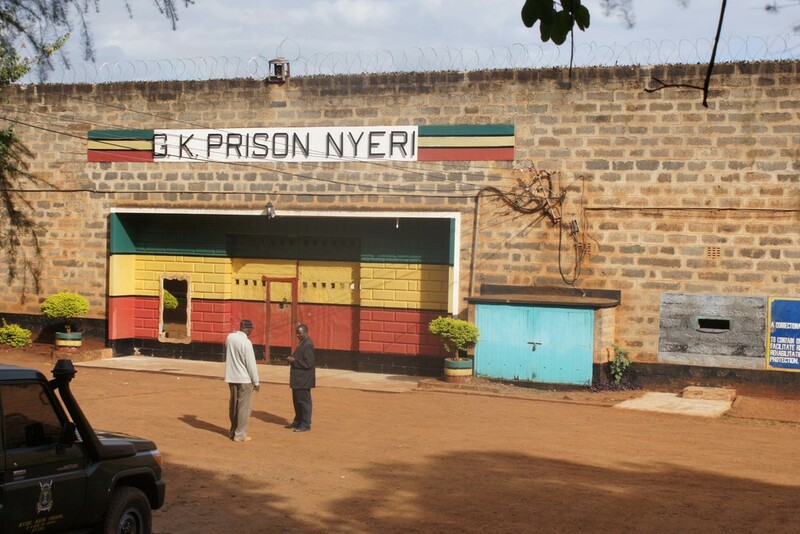 Additionally, the church has started a prison ministry, visiting and offering a 5 week Bible course to inmates in Nyeri Prison. The church offerings fund both the Bible ministry. to donate to Befrienders For Disability and make a difference today. Correspondence address: Befrienders for Disability, 104 Victoria Rise, Carrickfergus, BT38 7UR. Befrienders For Disability is a registered charity (NIC100726).